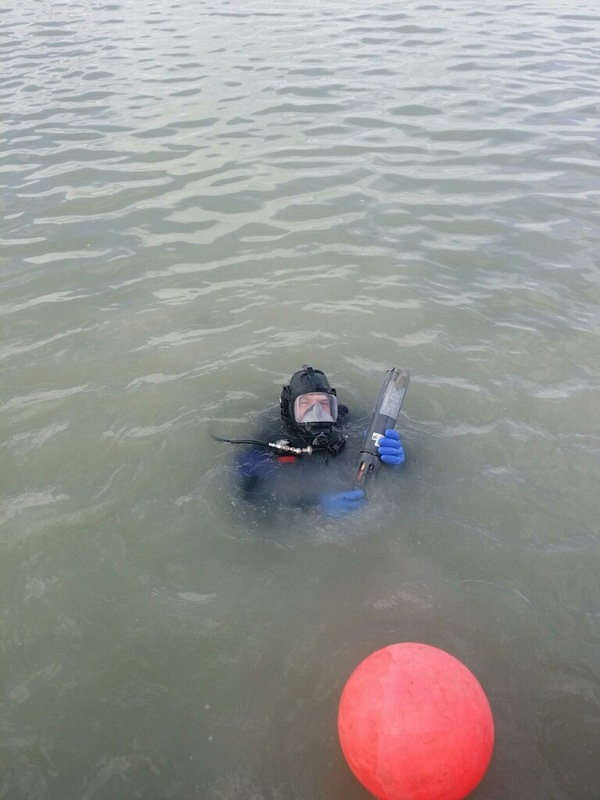 The DPS Dive Team was contacted by the Department of Environmental Quality requesting assistance in locating a scientific device, valued at twenty thousand dollars, that had been lost in Utah Lake. 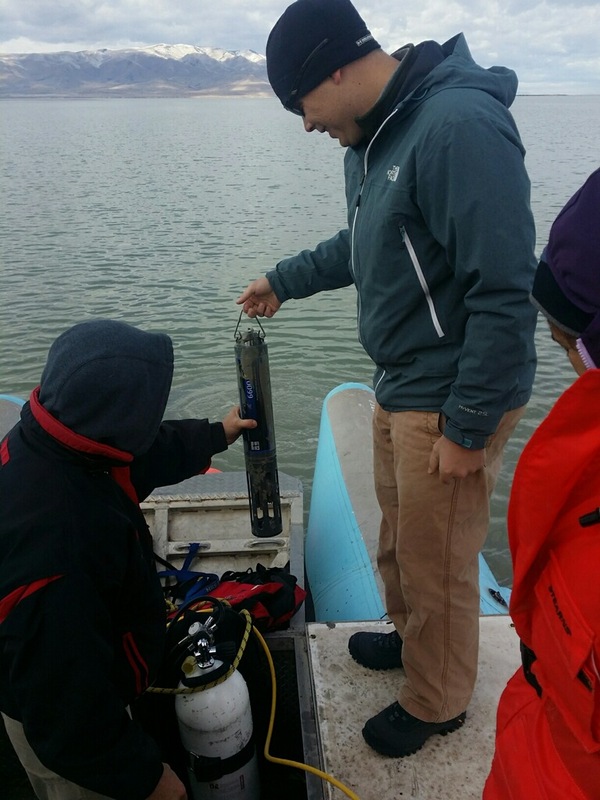 The Dive Team responded on November 18th and were taken to the last GPS location of the device. A DPS diver was deployed and located the item within about 30 minutes. While checking the dive site a few days in advance, it was discovered that the DPS Boat would not be able to launch due to extremely low water conditions. We reached out to our contacts at State Parks and Recreation, who provided us a shallow draft boat and driver from the Moab area.